Good News! Delhi Metro cards can soon be used for Bus rides in the city : Upcoming October, travellers will be able to use their Smart card of Delhi Metro to travel cash-less in city buses, easing last-mile connectivity, a problem that has dogged the transport system of National Capital for many years. 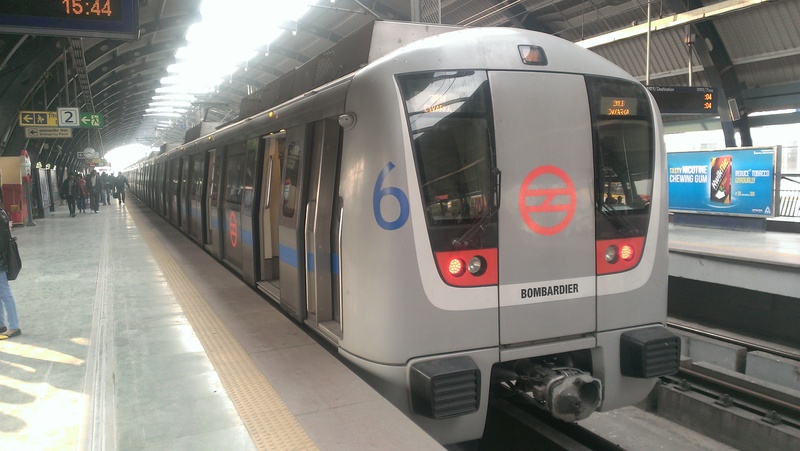 The Delhi Transport Corporation (DTC) has conducted the first successful transaction using a Smart card of Delhi metro in an electronic ticketing machine (ETM) installed inside a DTC bus. DTC Spokesperson, RS Minhas said that in next two months, the users of DTC buses in Delhi will be able to use a common mobility card in buses as well as the Delhi Metro. Officials say that 70% of the DTC fleet already has Electronic Ticket Machines installed. The rest should have it by mid – October 2016 when the integrated travel scheme is likely to be launched. Once the integrated travel scheme operational, the scheme will cover 4,000 DTC buses and 1,100 orange cluster buses that are run under a private-public arrangement. A Government official said that the idea is to have a prepaid service where people can travel in the city without the use of cash and can pay through one card. Authorities will also open recharge centres across the city. A common ridership card is normal in many developed cities such as Hong kong and London, where they help commuters travel seamlessly across different forms of transport without the inconvenience of cash transactions or procuring different cards. In Seoul, Upass rolled out in 1996. It was the first common payment card for buses and metro in the world. In Hong Kong, Octopus, inspired by the Upass, was introduced in 1997. The card can also be used for retail payments. In London, Oyster, introduced in 2003, is one of the best-known cards. It is accepted at London’s buses, the tube network, and others transit services. Over the past decade, authorities launched feeder bus services but such efforts have remained sporadic and small scale. Once the new integrated travel scheme is launched in October 2016, the transport department will start working towards a common mobility card to integrate payments for parking, autos and cabs.